The show’s next season is scheduled to air on the Discovery Channel beginning in January 2019. To help fund a full season of episodes and increase the number of veterans’ stories that can be told, a Kickstarter campaign has been launched with the goal of raising $100,000 and will run through July 10, 2018. Garstecki and Olsen split co-hosting duties on the show, each taking one veteran on a fishing trip per 30-minute episode. Dozens of veterans have shared their stories through Operation: Fishing Freedom, including World War II, Vietnam, Korean War, Gulf War and Iraq and Afghanistan veterans. One veteran who has appeared on Operation: Fishing Freedom and has experienced the cathartic benefits of casting a line is Kurt Power. Power is an Iraq War veteran who served as a sergeant with an Army brigade combat team during the most harrowing days of the war. On Oct. 10, 2005, while operating in a “hot zone” in Ramadi, Iraq, he was shot by a sniper. Power came home with a “chest full of shrapnel”, but the wound he said was the hardest to heal was the one no one could see. Prior to creating the show, Garstecki spent more than five years taking personal fishing trips with veterans to help them on the healing journey from the effects of PTS. “It’s been proven that fishing can alleviate the effects of PTS. I’ve seen it firsthand. 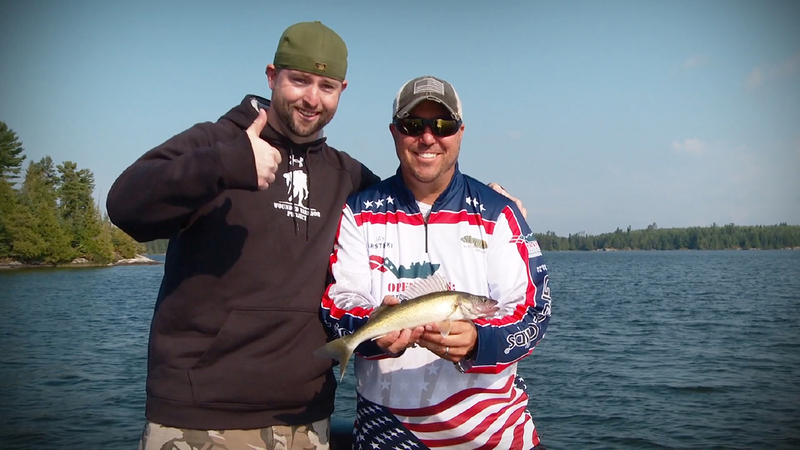 Through connecting out on the water with veterans from across the country, I’ve heard countless stories of heroism that were too meaningful to go untold … so Operation: Fishing Freedom was born,” Garstecki says. To donate, visit the Operation: Fishing Freedom Kickstarter campaign. Operation: Fishing Freedom is a TV show that takes veterans on personal fishing expeditions that was created through the nonprofit organization Take a Vet Fishing. It was born as a result of more than five years of co-founders Jay Garstecki and Ben Olsen taking veterans fishing as a means to help heal the effects of post-traumatic stress and a way to capture their stories that are so foundational to American history.